With call centre costs growing year-on-year most large organisations are looking at how they can reduce their telephone demand. Simon Rustom shares his thoughts with us… CCL has been working with many large organisations to help them reduce telephone demand and assist customers to adopt lower- cost channels. 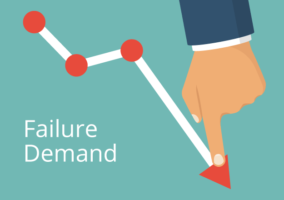 Reducing telephone demand essentially falls into three categories: reducing failure demand, improving use of automation, and handling the calls you get more effectively. The business case for reducing telephone demand is massive; a 10 per cent reduction in telephony demand can rapidly equate to a sizeable reduction in overall operating costs and cost to serve. The challenge is to take an integrated approach that looks at all of the areas and doesn’t improve one metric whilst worsening another. Whilst there are many technologies that purportedly reduce demand, CCL has found that doing the basics correctly is the most reliable way to reduce telephony demand whilst increasing customer and agent satisfaction and making the whole experience more pleasurable. Processes in customer operations can become complex, particularly when customers buy different products and services from one organisation. These processes need to be mapped from the customers’ perspective to make them customer friendly and simplify them where possible. For example, a new customer buying two services should not have to set up two passwords and have to give their payment details twice. This should all be taken in the same system and the customer should receive one bill from the company. 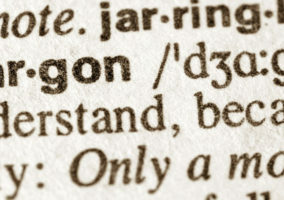 Standard letters and bills can confuse customers, causing them to telephone for an explanation. CCL have found that letters to customers use industry jargon, contain incorrect information, or are unclear. Often to ‘solve’ the confusion created by the letter, the contact centre telephone number appears in a huge font at the top, prompting the customer to call. When a customer has a query it is better to resolve this on the first call, preventing further calls into the contact centre. Contact centre reporting needs to show which call types are generating a second or third call on the same issue, and then the call flows and procedures need to be reviewed to improve first-time resolution. 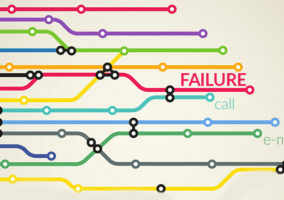 Customers often call contact centres because they are confused about what is going to happen and when, or to check what is going on, part-way through the process. Explaining the process and the timescale to the customer during the first few contacts will prevent these further unnecessary calls. These include searchable online information on faults and technical support, add-on sales products and bill payment options. To make online channels easy to use they must be easy to log into, easy to navigate, and contain all the information the customer needs. Online bill viewing should contain all the details customers would see on the printed bill in the same format, as it will be easier for them to follow. IVR software has improved significantly in recent years. It is a more secure and reliable way of taking bill payments, ordering additional services and verifying data than live agents. Since it avoids the need for these calls, or parts of calls, to be dealt with by live agents it reduces telephone demand. These need to be designed from the customer’s point of view so that they are light-touch, easy to use and add value. If using the smart-phone application is easier than calling the contact centre, it will become the method of choice for the customer. Call guides and scripting tools help agents to follow a best-practice call structure, allowing the calls that come into the contact centre to be handled more effectively. These help control call length by standardising and reducing average handling time across the agent population. This increases capacity in the contact centre. Knowledge management systems should assist agents to find the information they need during calls. However, many systems are not built with the agent and the customer in mind, and often they are process orientated and not easy to search. Good knowledge management tools cause reduced average handling time and fewer internal transfers as agents can handle calls more effectively, again increasing capacity in the contact centre. Software that enables agents to move through the various screens they need quickly and seamlessly cuts average handling time. Reducing average handling time increases capacity in the contact centre. Great article Simon – understanding what’s driving demand and doing something about the root causes of “noise” rather than just trying to encourage customers to an alternate channel. 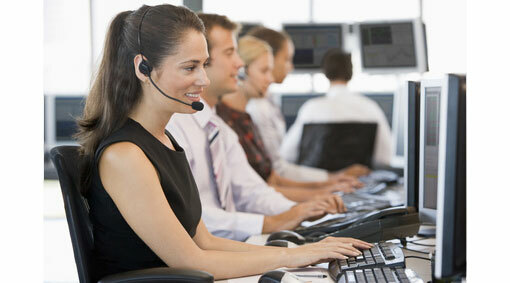 A good online Virtual Assistant can reduce the volume of calls coming into the call centre by typically 30%. An online Virtual Assistant can also increase customer satisfaction, help drive online sales and give critical information on customer demands.